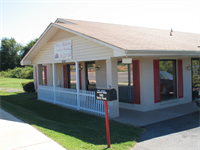 Formerly known as Pet Med Plus, West Madison Veterinary Hospital, located in Madison, Alabama, is a full service companion animal hospital serving both emergency cases as well as less urgent medical, surgical and dental issues. Our staff is dedicated to providing our clients, new or established, with the highest quality of medical care throughout the life of their pets. Our services and facilities are designed to assist in routine preventative care for young and healthy pets, early detection and treatment of disease as your pet ages, and complete medical and surgical care as necessary during your pet's lifetime. Our entire healthcare team understands the special role your pet plays in your family and we are dedicated to becoming your partner in your pet's health care. We are your "other" family doctor. Services Marlene Mixon, DVM practices at 8504 US 72 W, Madison, AL 35758. They always educate me on what's best for my pets and give me great advice on ways to help them live a long, healthy, and happy life. I'm thankful for all that they do. I feel like they go out of their way to accommodate my schedule. I always get the appointment time I want. I love taking my pet here. I feel confident in their care and my pet really seems to like them. They answered my questions and spent a lot of time with me. I didn't feel like they were trying to rush my appointment at all. They always have an immediate answer for me when I call with a question. They would never try to get me to make an appointment unless I really needed one. They do such a great job of never overbooking appointments, even though they are extremely popular. I know for a fact that they have lots of business, but I've never had to wait a long time in a crowded waiting room like other places I've been too. Not only do they never postpone my appointment, they always try to get me in as soon as possible. I love that I can always get an appointment right away, and I never have to worry about them rescheduling it.